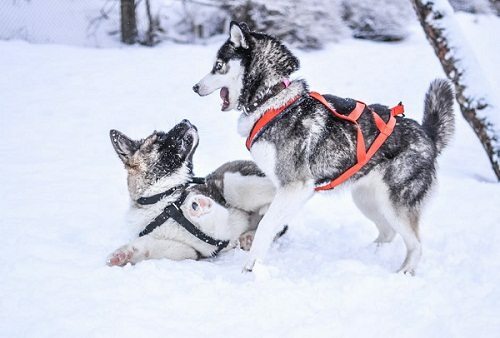 Before getting a dog or a puppy, it is necessary to research about the climate that particular breed is meant to be kept in and it’s energy level. Still, rich Indians, mostly as a sign of status symbol end up buying or importing illegally these foreign dog breeds who are clearly not meant to be bred or kept in the hot and humid Indian climate. Also, many of these wannabe dog owners with no real concern for their pets, end up underestimating the cost of artificially creating a suitable environment for their foreign dog and ultimately end up abandoning them when they start behaving abnormally or develop complicated health problems, mostly because of the unfavorable conditions they are bred or kept in. 1)Siberian Husky-Huskies have blue eyes, they look like wolves and with the advent of dire wolves on Game of thrones, which huskies closely resemble, their popularity has shot up in India in the recent years. However, dog owners should remember that huskies are not meant for 40 deg C summer temperature of Bombay,Delhi,Calcutta or Jaipur. No matter how rich you are, how many air conditioning systems you are arranging for, it is impossible to mimic the sub-zero temperatures(-60 to -30 deg C) of the Siberian peninsula in the tropical climate of India. Statistics show as many as few hundred huskies are abandoned every year in India. While some end up getting mauled by street dogs,others find solace in government local shelters in far more deplorable conditions. (commonly where street dogs creating nuisance/having developed a particular infection are kept by the municipality). You may think you are caring a lot for your new husky puppy by keeping him under air conditioning 24*7, but you are simply not doing enough. Especially during Indian summers, your visits to vets will increase(of course if you are lucky enough to find a proper veterinarian in your locality in India) as your furry pet is likely to suffer from dehydration or even heat stroke. Also during Indian summers, most huskies suffer from loss of appetite and show stunted growth. Apart from that, huskies are high energy dogs who need regular outdoor exercises which you won’t be able to provide him/her in an ac room. Some Indian dog owners end up shaving their double-coated huskies during summer, in doing so,they the exposing their puppy/dog to even more sunlight and heat. Aggressively shaving your husky makes him more prone to shedding problems/skin disorders. So, if you have planned on getting a husky, do yourself and your future pet a favor, don’t buy one unless you find one to adopt. Like the husky,other Arctic breeds like the Alaskan Malamute too are unsuitable for our climate. If it is a foreign breed that attracts you, get a well-bred German shepherd which is quite ideal for the Indian climate and is as agile as the husky. 2)Tibetian mastiff-Although not as popular among Indian dog owners like them huskies, some do end up buying this exotic breed. Either they spend a fortune to illegally import a pure foreign breed or end up with an impure breed mastiff who is likely to suffer from a host of health problems in future. If it is a giant dog you seek, look into saner options suitable for the Indian climate like the great dane. Looking for a guard dog which is quite the size of the Tibetan mastiff?Check out the Indian mastiff also known as bullykutta. They are ideal for the Indian climate and are excellent guard dogs while being huge is size. 3)St.Bernard-Once upon a time, this dog breed was considered to be an exotic breed in India but now, they are everywhere. 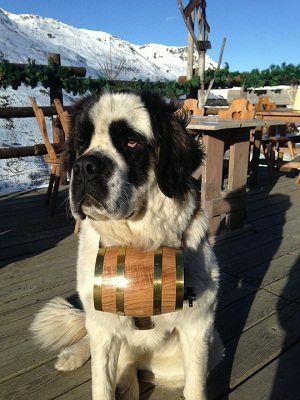 St.bernards also are not ideal for the Indian climate,even those bred in India who have adapted themselves to some extent with the Indian climate. If you are planning to get one, make sure you make adequate cooling arrangements and get one only if you are optimistic of guarding the dog against harsh Indian summers by air conditioning 24*7 and be ready for frequent vet visits. This particular breed has become so popular now in India, that it has become useless to stop people from buying or breeding them anymore in India. Buying a dog is easy these days, but it is a cumbersome task to maintain a dog properly,especially these breeds not meant to be here. So, it’s our ardent request to all pet owners to not just jump into buying one of these breeds for the sake of showing off or because you saw one playing in the snow on TV and instantly liked him. There are a wide range of other dog breeds ideal for the Indian climate to choose from like labs, goldens, great Danes, rottweilers, German shepherds(alsatian), beagles, poodle,Maltese, boxer ,pug ,pitbull,doberman,cocker spaniel,chihuahua,dachshund etc and it’s better to get one among these as they will feel comfortable naturally in our climate.